Every week Epic Games updates Fortnite with new set of tasks for you to complete. Completing these will unlocks Battle Stars which levels up your Battle Pass and makes cosmetics available. As usual, there are two categories of challenges. First one is available to all of the players of the game, however the second one is only available to those who have spent V-Bucks on a battle pass. 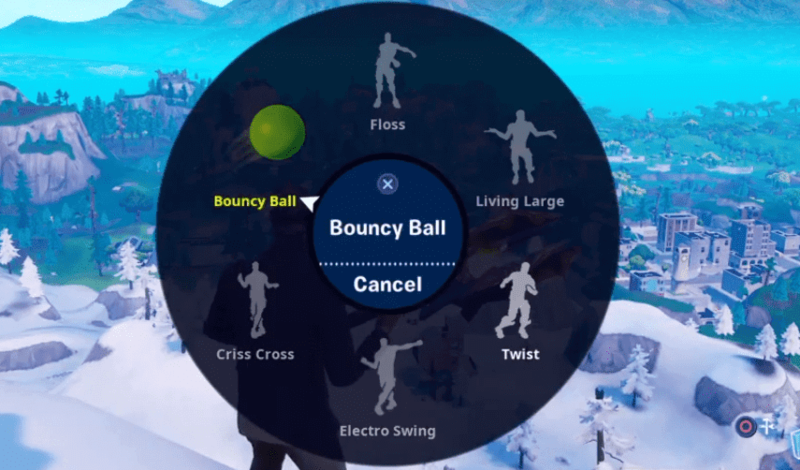 This week challenges involves throwing a Bouncy Balls and getting it to bounce 15 times. You’ll unlock the Bouncing Ball when you reach Tier 26 of the Season 8 Battle Pass. However, unlike other challenges, there is a barrier to entry on this one, as you will need to reach Tier 26 of the Season 8 Battle Pass in order to unlock the bouncy ball. After unlocking the bouncy ball, you will need to equip it, and then work out how to bounce it 15 times consecutively. • Staged Challenge – Gain shields from.. Here are few ways you can complete this challenge. One would be to go to a high point and see if the ball gets enough bounces, or you can go into a smaller, more enclosed space and throw the ball so that it bounces off the walls and floor several times.Either way, make sure you keep an eye out for other ball-throwing players.